Who can we file a claim against, or a lawsuit against when there is insufficient insurance? In many cases, too many in fact, we represent seriously injured clients where there is insufficient insurance to cover their losses. First, we seek to recover the full insurance policy from the driver, or owner, of the vehicle responsible. Second, we look to our client’s own insurance policy for underinsurance coverage. Too often there is still insufficient coverage. If the driver was distracted for a business purpose, such as texting relating to a business matter, there is a claim. There is a 2004 Virginia case on point – a lawyer was making a business call, to a client, when she struck a 15 year old pedestrian and killed her. The Court held that the employer, the law firm, was responsible for failure to properly supervise the employee lawyer. There have been numerous such cases since that time. The National Safety Counsel, Employer Liability and the Case for Comprehensive Cell Phone Policies gives employers ideas for writing a policy to warn employees from using their cell phones while driving. Any firm that has adapted such a policy, or failed to, would be discoverable in a civil lawsuit. Clearly texting while driving is a distraction. It’s illegal in Massachusetts. But what else can show negligence in a civil case? The American Automobile Association (AAA) claims that it is not just holding the cell phone and texting, but even talking, the discussion itself, even if over a Bluetooth, could be a distraction. If the discussion is with someone in the car, they may, or should, be aware of what the driver is doing and what is going on inside and outside the vehicle, so as not to allow the discussion to become a distraction. But a discussion with someone over the phone fails to give that protection. The discussion can clearly become a distraction. And often does. How Can We Know If There Was A Distraction? This is the key question. In the most serious accidents, the local or state police often investigate the circumstances surrounding such a collision. They will often pursue a criminal action and subpoena phone records. Many times at the scene there are witnesses. In a civil lawsuit, we can subpoena the phone records. This is getting easier, however, it requires discovery of the driver and persistence as the insurance defense trial attorney will likely push back at every step of the way. As you can see, you will need the expertise of an experienced personal injury trial attorney to seek damages against third parties for distracted driving cases. 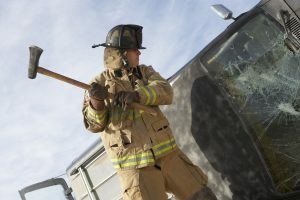 A lawsuit against the employer of a distracted driver involves something more than a traditional personal injury lawsuit. It involves a failure to train and failure to supervise count in the complaint. It involves discovery into the training and supervision of employees. 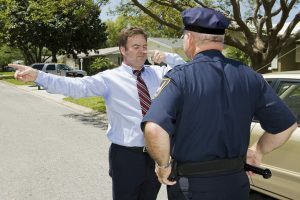 Such lawsuits often have multiple defense attorneys – one for the insurance company defending the auto, or motor vehicle, claims, and one for the company that you are suing. We recommend that you always seek experienced counsel when you have serious injuries: experienced attorneys will look for additional parties, deep pockets, and have the training to undertake discovery on these matters. Law Firm Burns & Jain have represented victims of distracted driving cases. Call him for a free initial consultation.